Our vets will listen to your needs and concerns and create a tailor-made programme for your animal’s particular condition. We will offer the most appropriate treatments, based on the needs of you and your pet. Our veterinary centres are some of the best-equipped practices in the country and we continually re-invest in new equipment as well as staff training and development. 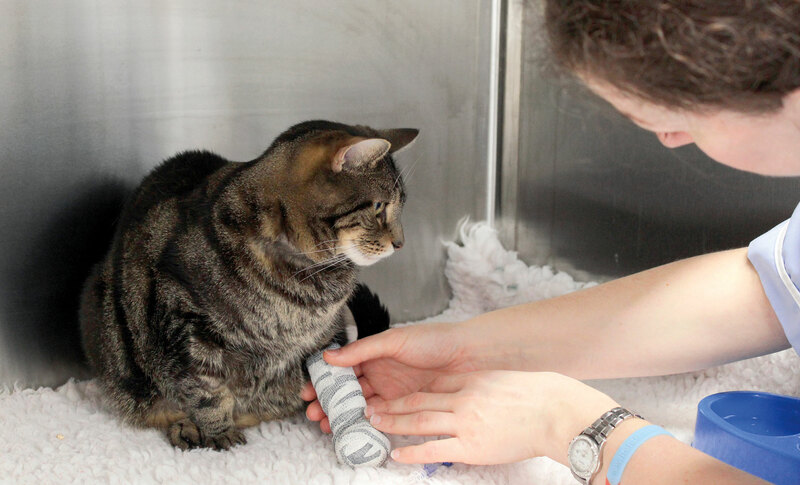 Our aim is to ensure that we can offer your animals the most up-to-date facilities and expertise should they become ill.
Our centres in Ipswich, Bury St Edmunds and Stowmarket are open every day, from early until late for your convenience and appointments are usually available the same day, including Saturdays. We also offer walk-in clinics every Sunday and bank holiday for urgent and serious cases that cannot wait until the following day. Our services are available 24 hours a day, 7 days a week. We are proud of the fact that we do not outsource our out-of-hours emergency services to a third party. In the event that you need us in an emergency, you can rest assured that we will personally take your call, at any time of the day or night. Our clients can rest assured that their pets will always be seen in familiar surroundings by one of our own vets who has knowledge of your pet’s previous medical history. Having on-site accommodation means that our duty staff are able to keep a watchful eye on our in-patients, monitoring their comfort and condition at all times, whether during the day or in the middle of the night. We are an approved training provider for the Central College of Animal Studies. We are also a foster practice used by several universities, providing practical training to their undergraduate students and supporting the personal development of the next generation of veterinary surgeons.